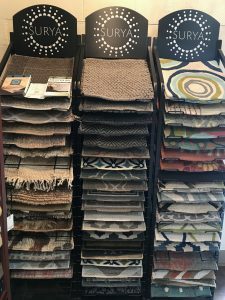 Brooks & Collier proudly carries Surya Rugs. No matter the color, style, material, construction, or collection, we carry the complete Surya Rugs inventory. We welcome you to peruse the Surya Rugs' inventory here, then let us know which one you would like. Better yet, tell us about your style and we'll help you select the perfect rug to go with you indoor and outdoor furniture.